The biracial Charles W. Chesnutt ranks among the 20th-century's most important civil rights advocates. 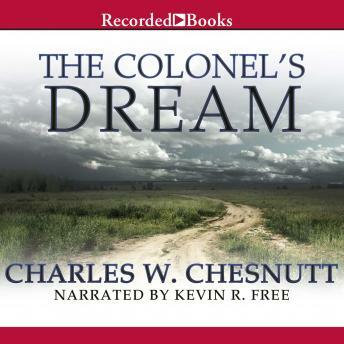 Published in 1905, The Colonel's Dream was extremely progressive and controversial for its time. When former Confederate officer Colonel French returns to his North Carolina hometown after building his fortune in the North, he intends to create better economic conditions for those who have only known hardship. But there is a new social order in the South that stands in his way. Men the colonel once awed now berate him and his idealism-and are determined to make him fail.